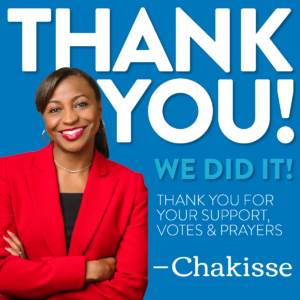 I am grateful and humbled that the people of District 11 have chosen me to serve them. Again and again, the voters have spoken decisively for change. They chose trust and accountability over politics and conflict. It’s a new day in Richland County Council District 11. My service as Councilwoman-elect will begin the same way that my campaign did: by listening to the voters, by hearing their needs, and by bringing people together with a shared vision of our future. This victory belongs to the voters and this county council seat belongs to the people. I look forward to serving District 11.